We finally met our buddies (…virtually) and can’t wait to meet them in real life! We divided our tasks to look at different CERN technologies. We hosted a screening of ‘A Plastic Ocean’ and feedback session and attended a Melbourne Development Circle (MDC) networking event where we met people who are passionate about SDGs. 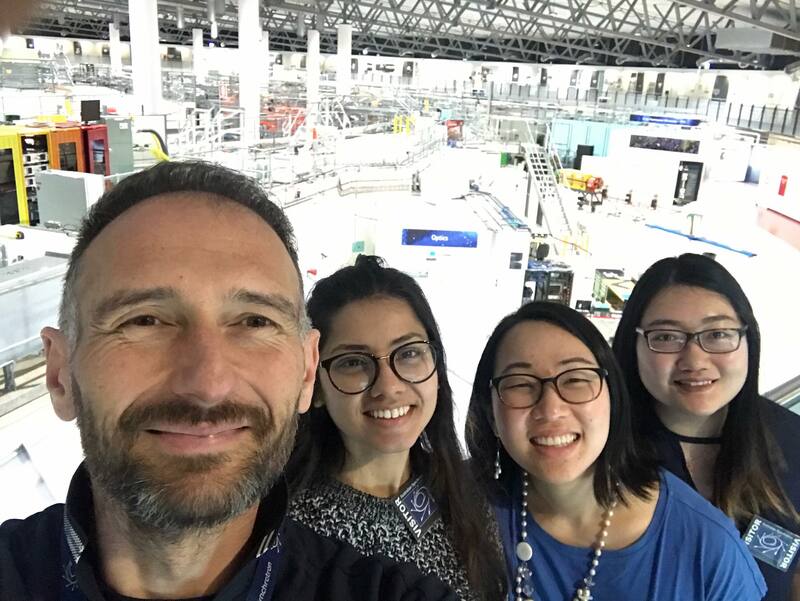 Then, we dipped our toes into the water of particle physics by visiting the Australian Synchrotron. The wonderful Zoran gave us a gentle introduction with his insightful and informative tour. MDC networking event: Speaking to people who work directly with the SDGs helped us gather contacts. We met some people who are particularly involved in water projects and will expand our network through them. Synchrotron: It is extremely impressive to see the varied and multiple applications of Synchrotron light. 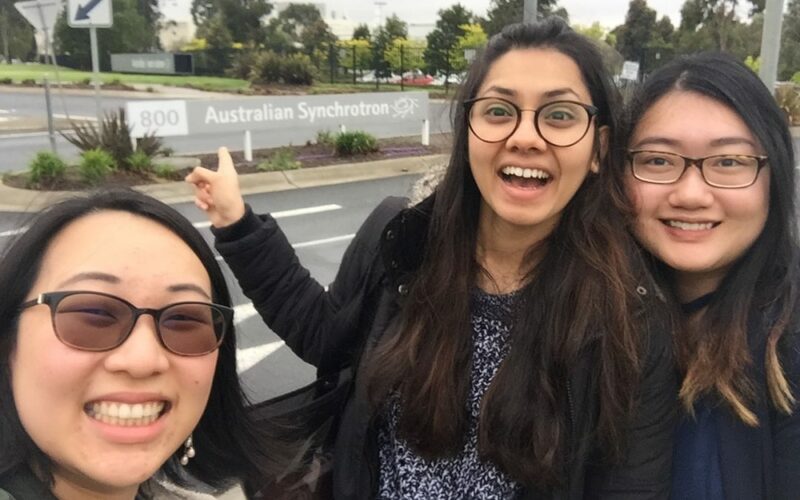 Synchrotron light or synchrotron radiation is electromagnetic radiation that is emitted when charged particles (in the Australian Synchrotron, these are electrons) are accelerated to 99.9997% the speed of light. This produces X-ray and infrared radiation which is filtered into various experimental workstations, mainly to look at the insides of things at a sub-microscopic level. Engineering: Synchrotron light was used to map the internal structure of a termite colony. Mimicking termites’ structural logic can lead to improved material efficiency in construction and 3D printing. 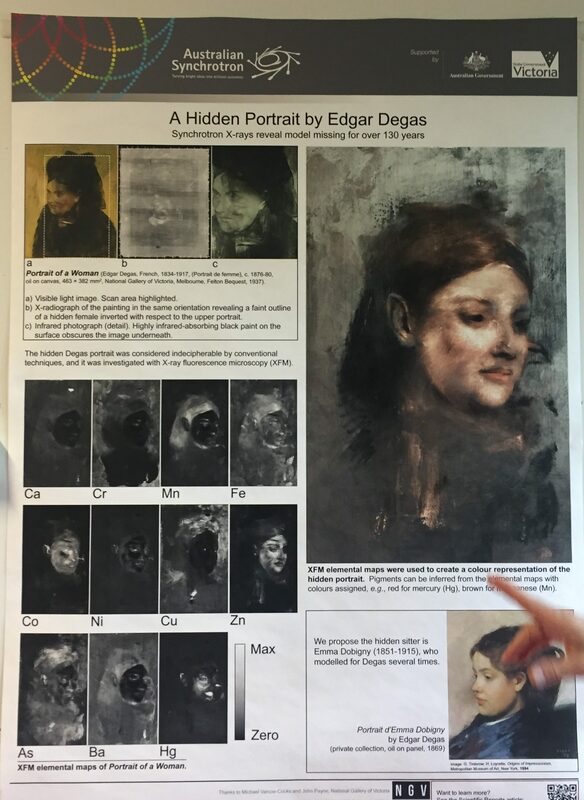 Art forensics: X-ray fluorescence microscopy (XFM) using synchrotron radiation was used to ‘see’ a hidden portrait without destroying the surface painting. Scientists detected the elements in the lower layer and matched them to pigments. This was digitally recreated into a colour representation of the hidden painting. Investigation: For decades, Phar Lap, a champion racehorse in the late 1920s/early 1930s, was suspected to be poisoned. 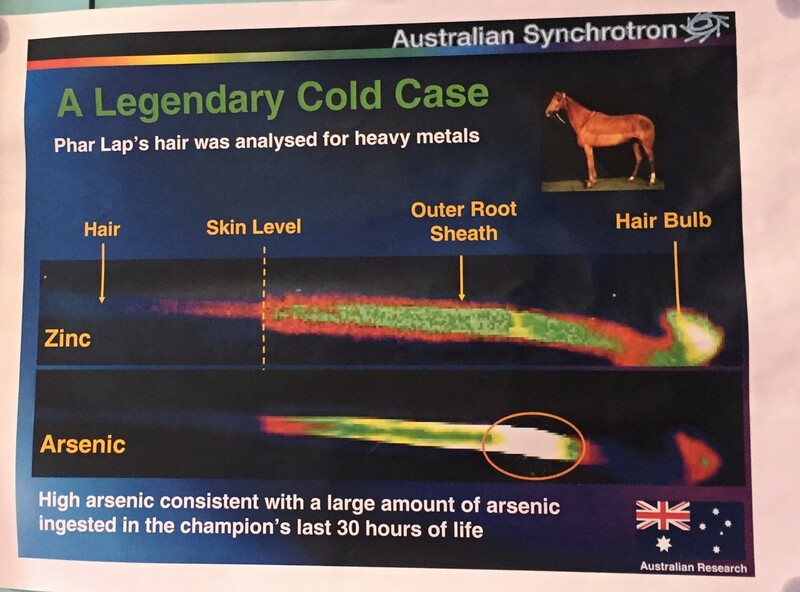 XFM was used to detect the presence of arsenic within Phar Lap’s hair, leading to the conclusion that he had ingested a massive dose of arsenic 1-2 days before he died. Meet then have class session with Dr. Markus Nordberg- Welcome! Your trip to the Synchotron sounds amazing! What a great opportunity. We hope that we get the same kind of insights when we’re finally at CERN. Great to hear you met your buddies virtually. Such a great week for gathering contacts, research and insights! So glad you enjoyed your visit to the Aus. Synchrotron. And now we’ve met them in real life, Paris – and they’re so lovely! So very grateful for the Synchrotron trip so we’re not completely lost over here in CERN. Thanks for making the arrangements! I think it should be mandatory foundation for every CBI team!